In my complimentary June PopSugar Must Have box, I received the lovely new beach read, "One and Only" by Emily Giffin. Giffin is a fantastic chick-lit writer (chick lit is basically fluffy, easy beach reads for women and my favorite kind). She wrote "Something Borrowed" and "Something Blue", both great beachy reads. 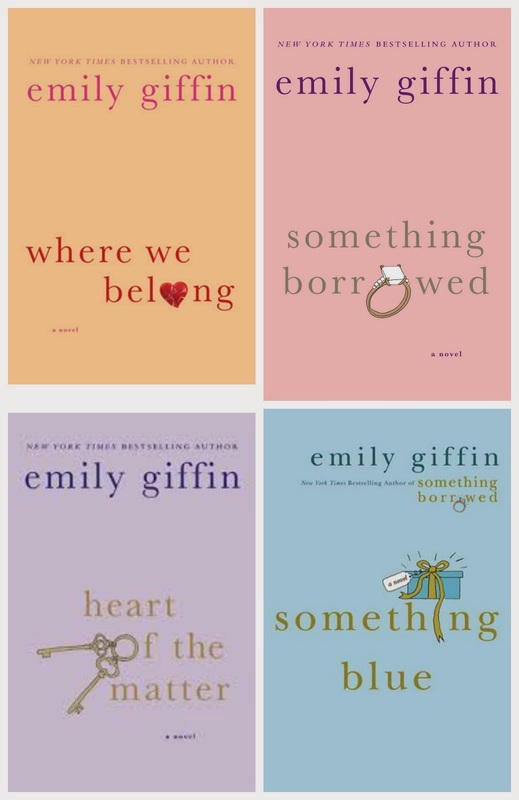 You can always spot an Emily Giffin novel on the shelves of your local book store because they always look exactly the same, but in a good way. They have the same simple cover and I love how uniform it is. That is such a cool thing for an author to do. This time around, the cover was deathly different. The title print was big and bold, very in your face. I wouldn't be able to walk past this at the book store. 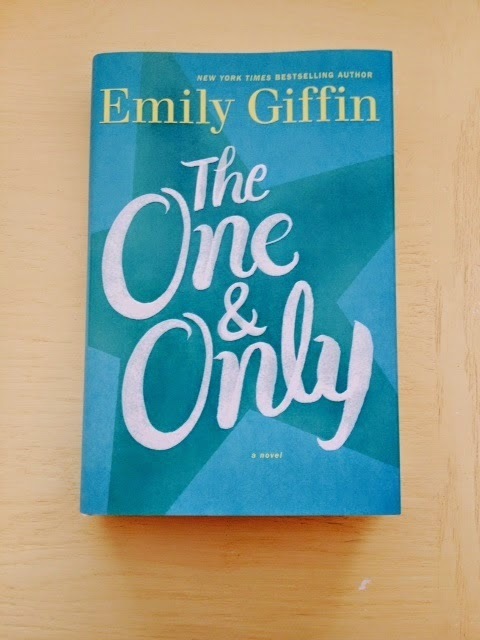 I hadn't heard that Emily Giffin was coming out with a new novel so I was really excited to break into this book when it arrived in my Must Have box. I immediately started reading and was entranced. I finished it within two or three days. It was one of those easy reading books that was light, airy but just enough intensity to make you want to keep turning pages. Every time I would stop a chapter, I just had to figure out what was going to happen next. I won't reveal too much about the plot because you could find that anywhere and I don't want to spoil it but I'll give you a little tidbit. Shea Rigsby, the main character, has lived in Walker, Texas her entire life. Her life there revolves around her best friend Lucy and college football. This is a very football centric novel which I loved (even though I'm not a true football fan), it was a very nice added element. The novel starts off with Lucy's mother dying and that carries the entire novel. It is the main reason everything else occurs. It's a domino effect and that is apparent from very early on. Even though you might not be able to tell which direction the book is going to go in, or where Shea is going to end up, it's still fun to read along and feel the anxiousness that you know Shea feels. I get very in tune with the main characters of the book, especially when it's written in the first person point of view. I'm usually very able to tell where a book is going to end up. I can read an authors mind only because I've read so many books. I know how an author thinks because it's something I'd like to achieve one day. This was sort of different because I didn't know what Emily was going to have happen. It could've gone in so many directions. How the book ended was very predictable, however. It didn't make me like the book any less though. I adored this book, I really did. I will say this, it was a little cringe worthy at times and made me shake my head. If you read it, you'll see why. This was a fantastic beach read. I keep saying beach read and it may be confusing as to what I mean but basically it's the perfect summer/vacation book. It's something light, easy to follow and fun to read--a guilty pleasure if you would. It's a fantastically written novel about love, friendship, career and hard decision making. 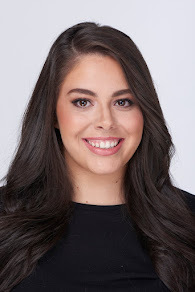 Shea is a unique character and truly has to choose between love and friendship--not an ideal decision. She is relatable, oh my god, SO relatable. She's an anxious, nervous but also strong woman who doesn't really know what she wants out of life. "One and Only" really is a great book. It definitely is one of the best books of the summer and I can't recommend it enough. If you're going on vacation or due for a light hearted read, pick this baby up! Have you read "One and Only? What did you think of it? What are your other favorite beach reads?